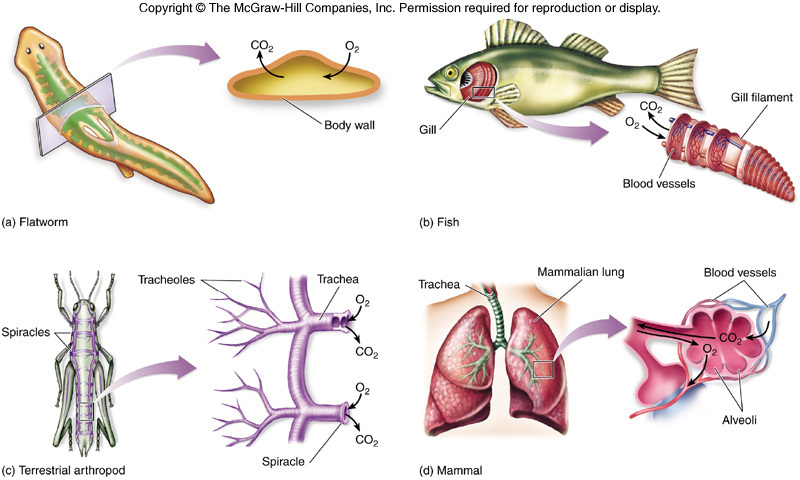 6.4.1 Ventilation, gas exchange and cell respiration. 6.4.2 The need for a ventilation system. 6.4.3 Features of the alveoli. 6.4.4 Structure of the ventilation system. All organisms need oxygen. Oxygen is required during cellular respiration. This is a biochemical pathway that involves the sequential breakdown of chemical bonds of the glucose molecule. This process requires oxygen and gives off carbon di oxide. our lungs with the heart and blood vessels ensure that all the cells receive this supply of oxygen. Throughout our lives we continuously fill our lungs with air and then breathe it out. 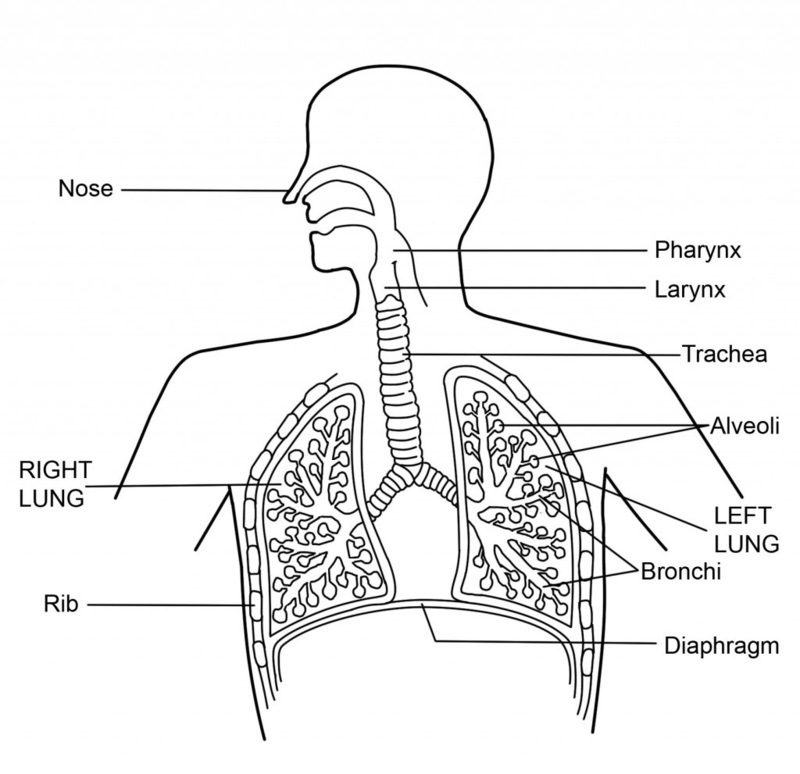 This process of taking in air and breathing out of air is called ventilation. The oxygen in the lungs diffuse into the bloodstream and the carbon di oxide in the blood stream diffuses into the lungs. Each breath we take replenishes the supply of gases within the lung tissues so that diffusion continues. This process is called gas exchange. Respiration is the process of breakdown of glucose in the cell for release of energy in the form of ATP. 1. In the lungs- Oxygen move out from the air in the lungs to the RBC in the blood stream and carbon di oxide moves in the opposite direction. 2. In a capillary bed- Any place in the body where opposite gas exchange takes place. Oxygen diffuses into the body cell from the blood stream and carbon di oxide diffuses out of the body cell into the blood stream of the capillary bed. movement of air in and out of the lungs. involves mass flow / involves flow along air passages. movement of carbon dioxide and oxygen. oxygen moves from lungs to red blood cells and carbon dioxide moves to lungs from red blood cells; oxygen moves from red blood cells to tissues and carbon dioxide moves to red blood cells from tissues. a passive process / diffusion. takes place across a surface. In humans and other large animals skin is ineffective for ventilation. 1. to increase surface area. The gaseous exchange occurs between air in alveoli and blood capillaries; alveoli have high ratio surface area : volume. This is to facilitate ventilation; or to bring in fresh air and remove stale air. The alveoli are small sacs at the end of the smallest branches. There are approximately 300 million alveoli in each lung. The alveoli are surrounded by capillary bed. The blood entering the capillary bed is low in oxygen and high in carbon di oxide from the right ventricles. In the alveoli oxygen diffuses into the blood and carbon di oxide from the blood diffuses into the alveoli from the blood. 2. Flattened, single cell thickness- facilitates easier diffusion of gases. 4. Associated capillary bed nearby- the distance for diffusion is less. External intercostal muscles contract and internal intercostal muscles relax. This results in pulling the rib cage upwards. 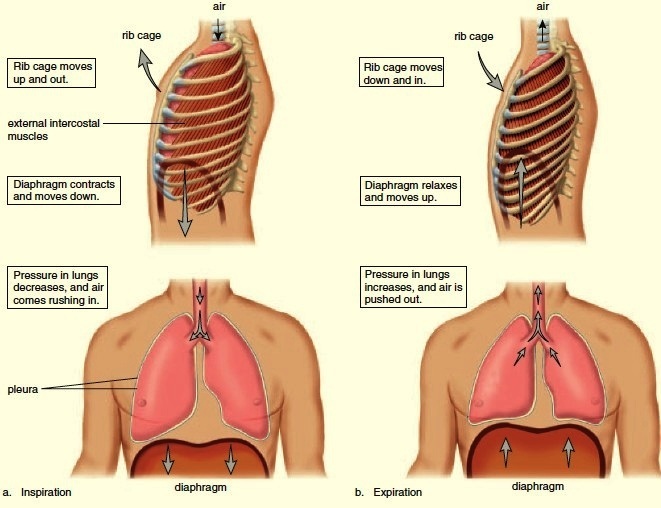 The diaphragm contracts and flattens which increase the volume of thoracic cavity. This reduces pressure; so air enters the lungs. Internal intercostal muscles contract / external intercostal muscles relax; diaphragm relaxes; abdominal muscles push diaphragm upwards. This results in decrease in volume of thoracic cavity. Thus increasing the pressure; so air leaves the lungs.